I’m not one to use the word “miracle” lightly, so when I say it feels like I have been blessed with a miracle healing in just 7-days, please trust me that I mean it. 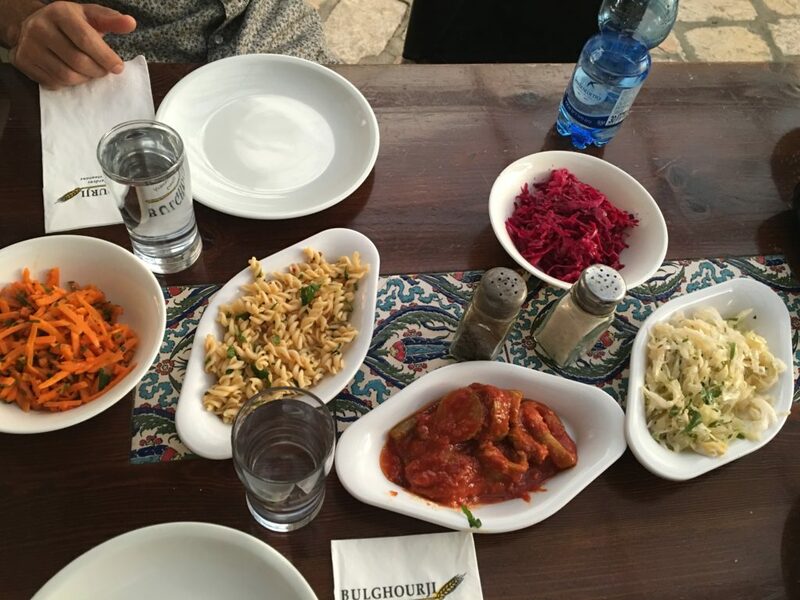 I mentioned in my email the other day that while traveling through Israel, I also decided to do a 7-day Daniel Fast. For those who are unfamiliar, a Daniel Fast is a partial fast where you don’t give up eating, but you refrain from eating certain foods. The inspiration of this fast, naturally, comes from the book of Daniel. Daniel was an old testament Hebrew prophet who lived in a time where the Hebrews (i.e. God’s chosen people) were living under oppression by the Babylonians and the King Nebuchadnezzar. In spite of that, Daniel and 3 of his Hebrew friends (Shadrach, Meshach and Abednego) were specially chosen to try out to be a part of the King’s guard. For these tryouts and trainings, Daniel and his buddies decided to stick with their Hebrew law and abstain from eating the common foods of the King. In fact, when pushed on it, he offered to make it a competition to see if his way of eating would make them excel above the other competitors. The results of this test where highly in favor of Daniel and his friends. The Bible tells us they excelled high and above all the other guards not only physically, but in integrity, wisdom, and skills. You see, it wasn’t just about the food for them, or us. It was about being obedient to God, sacrificing in simple ways even in the face of being marked an “outsider.” This humble sacrifice of Daniel surely paid off. He was promoted to the highest ranks of the King. So, this Daniel Fast is something that many churches challenge their congregations to do in the New Year for 21-days (the 21-day part comes from Daniel 10:2-3). 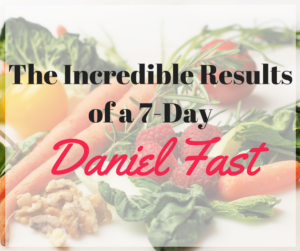 I did a version of the Daniel Fast two years ago for 28 days while as I was just starting A. Wright Fit, but when I did it, I didn’t do much research into it and did not cut out caffeine nor all sugar. I still had a great experience. 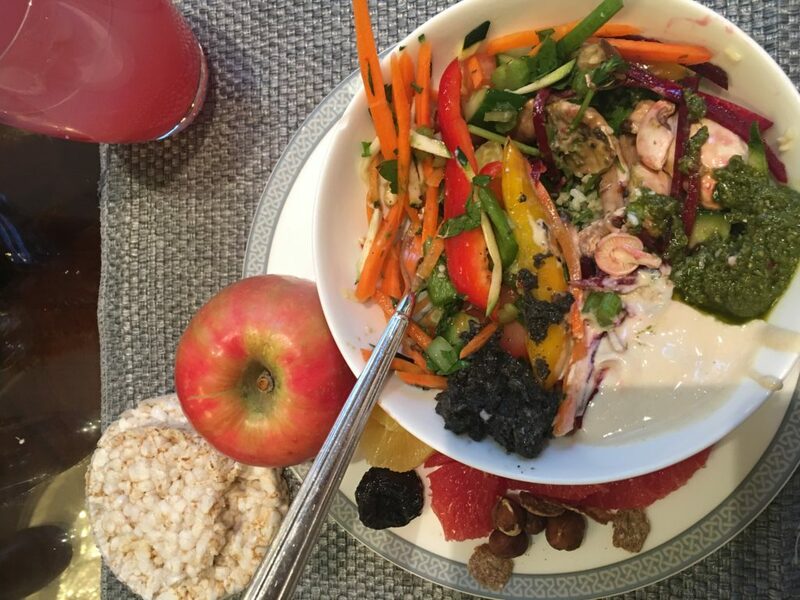 I have had it on my heart to lead a Daniel Fast challenge in the New Year with the ladies I coach in the her Health Lounge and also invite anyone else that would be up for a nutrition challenge and training! 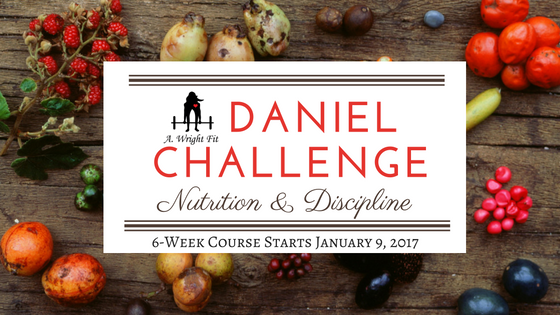 I will be leading the 6-week nutrition course alongside a special weekly online Bible study on Discipline for 2017. It’s going to be amazing. Therefore, with this on my heart, I thought while I’m in the Holy Land and studying this ancient fast, why don’t I go ahead and do a short version of the Daniel Fast so I have a better understanding to be able to coach from in the New Year. Well, this experience FAR exceeded my expectations. To add a little background about what I have been going through lately with my health, I should add that I have kinda been feeling off in my body lately. I had a back injury 2.5 years ago (a bulging disc) and my back has been in terrible pain for longer than I can remember. I can usually do some mobility and alignment drills in the AM to get it all worked out, but it’s very hard to get out of bed a lot of days and traveling is especially brutal. About a week or two ago, I visited a chiropractor that said he believed it was caused by inflammation of the tendons that surround my spine. He advised me to stop bending over, stop crossing my legs, and stop twisting too much from the spine. Uh, kind of challenging for a trainer, right? But I took his advice and had seen some improvements. The other thing that had been kinda bothering me (but not too much) was that I had put on weight that I couldn’t seem to drop. I had found a set weight of 155lbs for over a year and then this year, though my eating and exercise was always relatively on point, it had crept up to 162-164. It seemed that nothing would make it come back down. So I kinda just accepted it and moved on, it’s only a number after all. 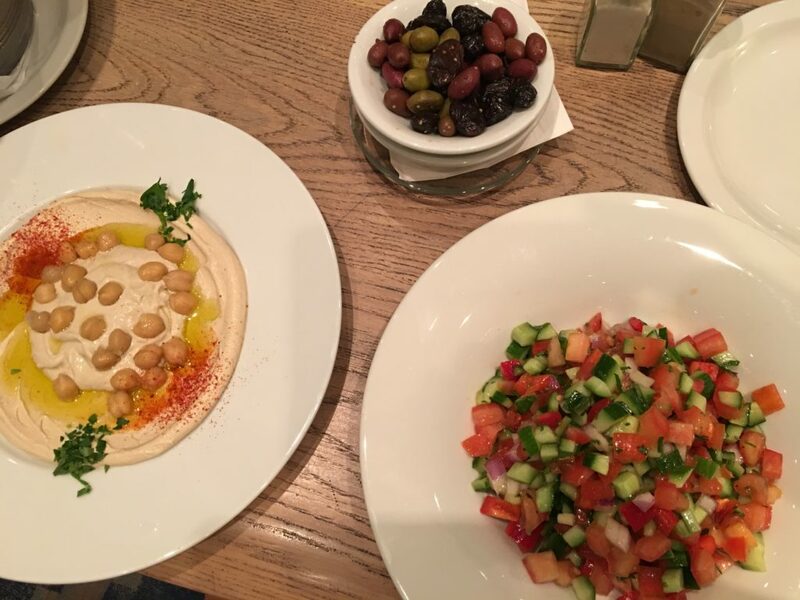 Well, in Israel last week, I have to fully admit that this Daniel Fast is a LEGIT detox for your body. It is pretty brutal the first several days. My vices have always been caffeine (which is why I will give you a slow progression to follow for all my coffee and tea lovers), chocolate, and some wine. Well, on the Daniel Fast, you cut out all beverages except water, you eliminate all animal products (i.e. 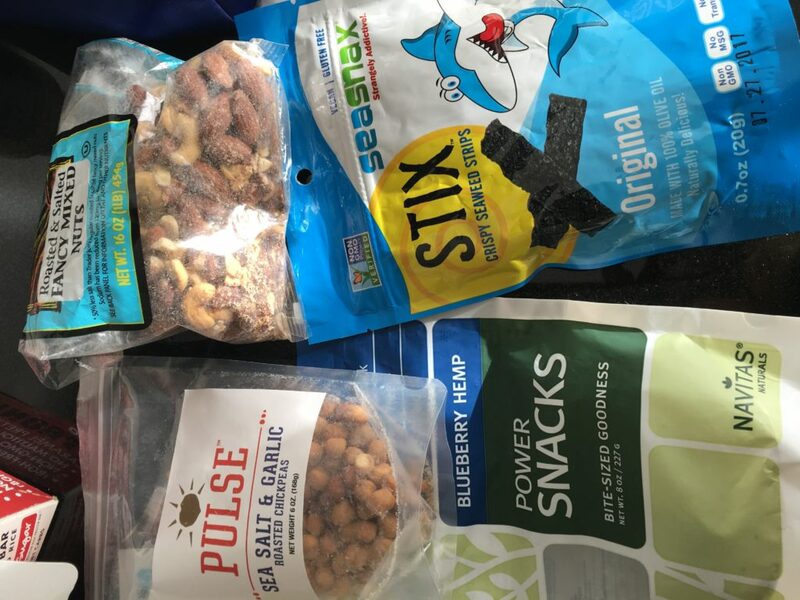 eat Vegan), all yeast-containing bread, anything processed or with sugar or chemicals, and essentially feast on salads, nuts, legumes, whole grains, fruit, vegetables etc. 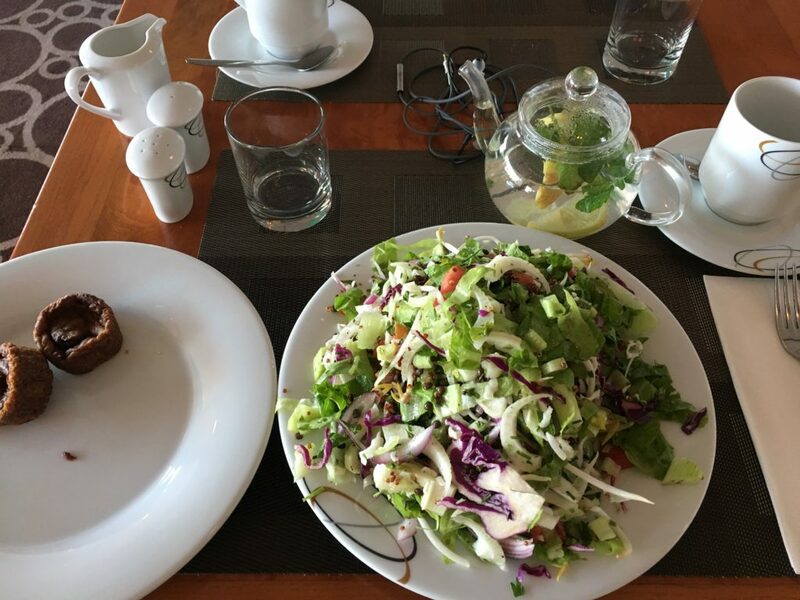 Frankly, for me, it was kinda a treat to eat so many carbs! 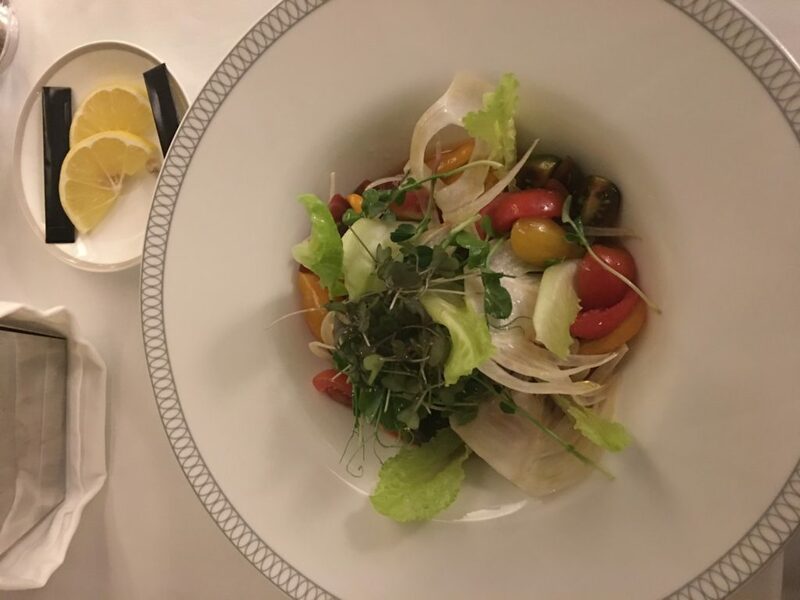 Oddly enough, even through we were staying in a hotel the entire time, I had NO PROBLEM finding foods to eat (see pics below). So the good news is that there are plenty of options. But, the bad news was that the combination of jet lag + cutting all caffeine caused some sluggish days, plenty of headaches, and what was most surprising was some serious BACK PAIN. The inflamed tendons up and down my spine were definitely yelling at me. At first I thought it was the travel and perhaps an injury, but then as I was reading the Daniel Fast book by Susan Gregory, I read that back pain is a common symptom of the detox. Therefore, I just swallowed some Advil and stuck with it. Well, after just 4 days of bad symptoms, I started to feel like myself again. My cravings were severely diminished. Better yet, all that back pain COMPLETELY went away!! I mean ZERO back pain. I never dawned on me that my pain could have been caused by my eating and drinking habits. Now I realize that my over-consumption of caffeine and was a huge factor. Not only that, but when I returned back home this week and began transitioning slowly to eating back to my Nutrient Based eating (another aspect I’ll be coaching you through) and did some gentle workouts, I went to weigh myself and had lost 7 lbs! Now, let’s be clear, this is not fat loss, this is for sure predominantly water weight. But even so, it felt great to see the inflammation in my thighs, face, and stomach drop as well! All this to say, that while doing a “cleanse” will always be tempting for the human side of us that wants “quick results.” But that’s not what the Daniel Fast is for. It’s NOT a diet. It’s not a quick fix. It’s an act of Spiritual discipline and sacrifice that makes way for you to grow closer to God and experience God’s healing physically and spiritually. I am SO EXCITED to see what 21-days of this journey will look like in the New Year and I hope you will pray and see if God is calling you to join me! Even if you do this with your church, you might find that having a support and accountability group of women online is really helpful for you to stick with it. I’ll be giving a whole class and book on recipes, instructions, and spiritual practices to make it success! It will also include my Nutrient Based Eating program too! I will be offering this 6-week course as a BLACK FRIDAY & CYBER MONDAY deal, so look for the discounted offer next week! If you have any questions, feel free to respond back to this email and I’ll be glad to share more! I can’t wait to try the 21-day journey. I’m looking forward to having better health. This is going to be such an exciting journey!